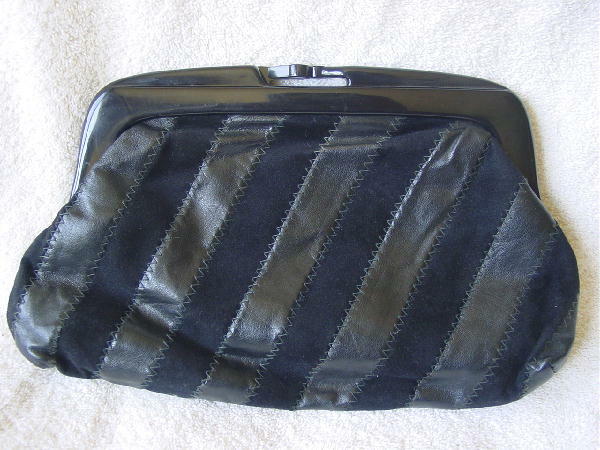 This vintage clutch purse has a black lucite (plastic) rim and horizontal bypass closure and was handmade in Hong Kong by La Regale Ltd. The exterior has diagonal stitched strips of black leather and black brushed cotton. It has a black fabric lining and open pocket.